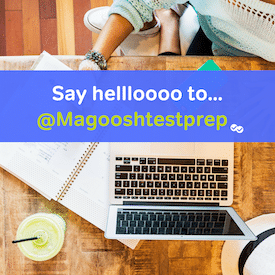 Check out Magoosh test prep! When Should You Take the Miller Analogies Test? If you haven’t done much research into graduate applications yet, “when should you take the Miller Analogies Test?” is a common question to have. Here are some guidelines to help you make the right decision. When is the MAT available? You actually don’t have to concern yourself too much with this. The MAT is offered around the year and at multiple test centers in most states. As long as you schedule your exam a month or so ahead of time, you will likely be able to get the exact date and time slot you want. See our article on “Where to take the MAT” for more information. This is the first place you should look when deciding when you should take the MAT. It’s important that you identify the schools and programs you plan to apply to so that you know when the deadlines are. Different schools have different deadlines; this makes it important to check directly with the school you plan to attend. It takes about 10-15 days for Pearson to send out you MAT scores. At a minimum, you need to take the MAT 15-20 days before the application deadline so that scores definitely arrive on time. In general, you will need 1-2 months to prepare for the exam. One month is the minimum for seeing some improvement while 2 months is preferred. Most students can improve if they give themselves 2 months, and it reduces study stress having this amount of time. This means, ideally, you will schedule your exam 81 days before your application deadline. That is 60 days of prep, 1 day taking the exam, and 20 days for scores to arrive at your school on time. When is the Miller Analogies Test Offered? How Do I Register for the MAT? Taking the MAT this Week? Read This First! How often can you take the Miller Analogies Test? Bertrand is a remote tutor and a MAT blogger for Magoosh. He received a B.A. from Fairleigh Dickinson University and studied education theory at Rutgers Graduate School of Education. He has been studying and working in education since 2010. Born and raised in New Jersey, he now resides in Philadelphia. When he isn’t helping students study or writing blogs for Magoosh, he spends his time practicing mixed martial arts and reading as much as his schedule permits. Magoosh blog comment policy: To create the best experience for our readers, we will approve and respond to comments that are relevant to the article, general enough to be helpful to other students, concise, and well-written! :) If your comment was not approved, it likely did not adhere to these guidelines. If you are a Premium Magoosh student and would like more personalized service, you can use the Help tab on the Magoosh dashboard. Thanks! Is there a MAT Age Limit?